New animals from South America and Australia added. Zoo Tycoon: Ultimate Animal Collection, an upgraded version of the Zoo Tycoon previously released for Xbox One and Xbox 360, is coming to Xbox One and Windows 10 PC on October 31, Microsoft announced. Pricing: $29.99 / €29.99 / £19.99. Xbox Play Anywhere title (Xbox family of devices and Windows 10 PC versions included with single digital purchase at no additional cost). Let your imagination run wild with Zoo Tycoon: Ultimate Animal Collection<. Build, manage, and maintain your dream zoo alone or with up to four players on Xbox Live. This zoo simulation will charm animal lovers of all ages. 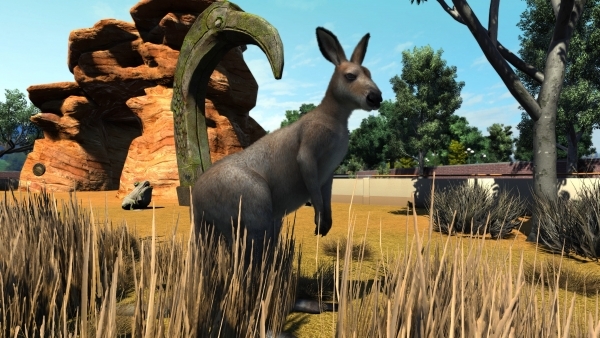 Includes a selection of new animals from South America and Australia, including kangaroos and koalas. It’s Your Zoo. Design and manage your ideal zoo from piece-by-piece road construction to the ability to adjust the enclosures and decorate them. The choice is yours! Build and share your Zoo with up to four people on Xbox Live. Supports Xbox Play Anywhere, so you can pick up where you left off on another Xbox One device or Windows 10 PC, bringing all your saves, game add-ons, and achievements with you.